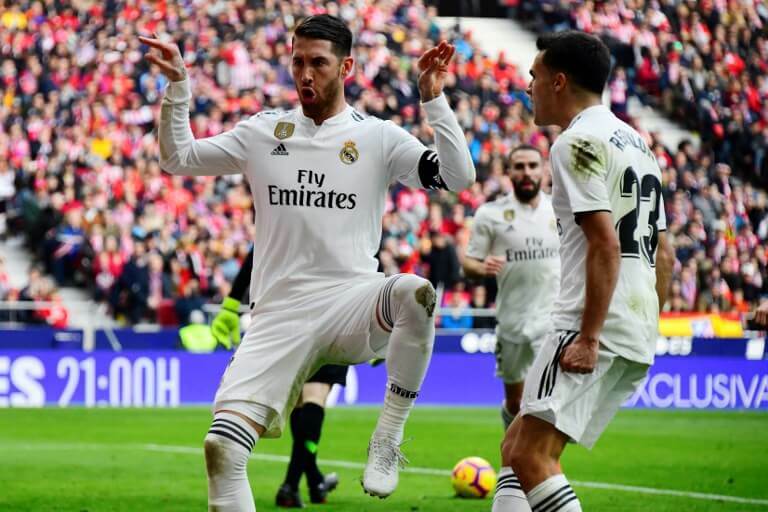 Barça could restore that gap to eight by overcoming Athletic Bilbao on Sunday but another impressive performance at the Wanda Metropolitano, aided by some fortunate decisions, puts Real back in the thick of the title race. Bale had been left out of the starting line-up for the second time in four days, after he was also a substitute against Barça in the Copa del Rey on Wednesday. The Welshman’s goal, his 100th for Real Madrid, will not have been lost on coach Santiago Solari and ended Atletico’s hopes of a comeback after Sergio Ramos‘ penalty put Real in front at half-time, with Antoine Griezmann earlier cancelling out Casemiro‘s acrobatic opener. He was whistled when he came out alone to warm-up, when he emerged again with his team-mates and then before kick-off too, as the Atletico ultras behind the goal hurled dozens of toy rats towards his head. A sign read, ‘Thibaut – Rata‘, just to underline the point.